I’ll admit it: I’m a word snob. I like some words just because I like the way they sound. 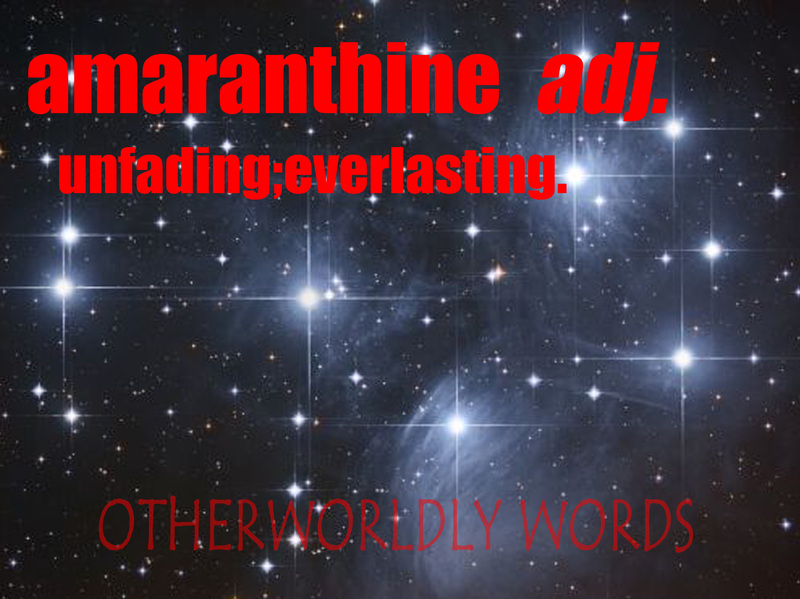 Amaranthine is one of those words, because I think its sound matches its meaning. Just say it….Amaranthine…Does it make you feel like you’re floating in an endless sea or cloud? Have a favorite word you just love to say?